We’d love your help. 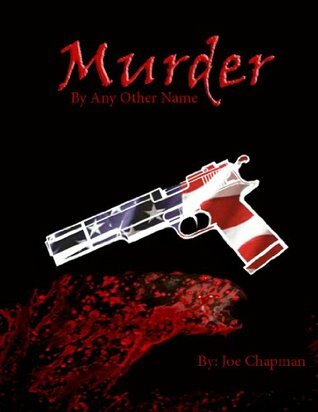 Let us know what’s wrong with this preview of Murder By Any Other Name by Joseph Chapman. Joe Murphy is looking forward to retiring after a long career as a military MP and special ops. He's tired of the bloodshed and just wants to settle down and start his own business. Nothing is ever that easy for Murphy. A murder in his family happens just as the entire Murphy family is planning on getting out of base housing and moving back to their home town of Indianapol Joe Murphy is looking forward to retiring after a long career as a military MP and special ops. He's tired of the bloodshed and just wants to settle down and start his own business. A murder in his family happens just as the entire Murphy family is planning on getting out of base housing and moving back to their home town of Indianapolis. Murphy finds out quickly that the rules are different in civilian life but the blood flows just as freely. While trying to solve the murder of his mother-in-law, Murphy gets dragged into a 30-year old murder, the underground drug and prostitution scene, and the Mafia, all while trying to keep his family safe without the resources of the military. The body count stacks up and Murphy must struggle with his inner-demons from his experiences in the military and the deaths he now feels responsible for. Murphy has come to realize that killing someone, whether in the name of “justice”, “defense of freedom”, or whatever . . . taking another life is murder. But what if you didn't intend it? What if the situations swirling around you are out of your control and people all around you are dropping like flies? Is it still on your conscience? Is it your fault? To ask other readers questions about Murder By Any Other Name, please sign up.